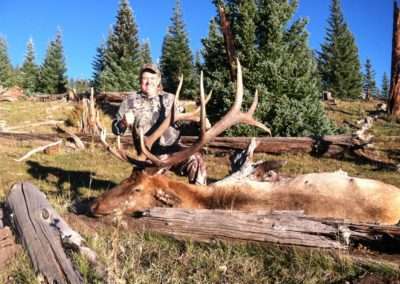 Hunt Elk in the 85,000 acre Rio Costilla Park Ranch in north central New Mexico. 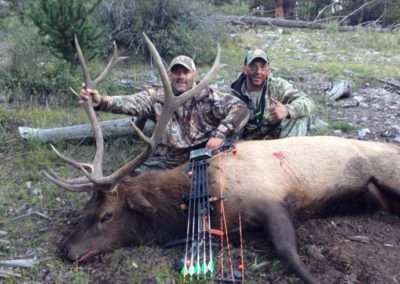 Rio Costilla is located in New Mexico Elk Hunting unit 55A and borders Ted Turner’s exclusive elk hunting ranch! Unit 55A consists of huge tracts of both private and public land professionally managed for quality big game. Rio Costillo also borders the famous Valle Vidal, which is a once in a lifetime draw area. 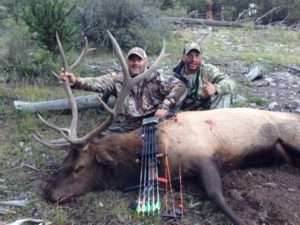 For over 30 years, we have practiced New Mexico Trophy Elk management, and with a 5x5 or better policy you can be sure of trophy potential and trophy Elk opportunities. 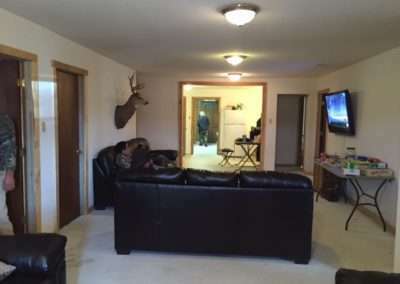 This prime Elk hunting location offers opportunities at harvesting a 300”+ bull, many exceeding 325” and others over 350”. 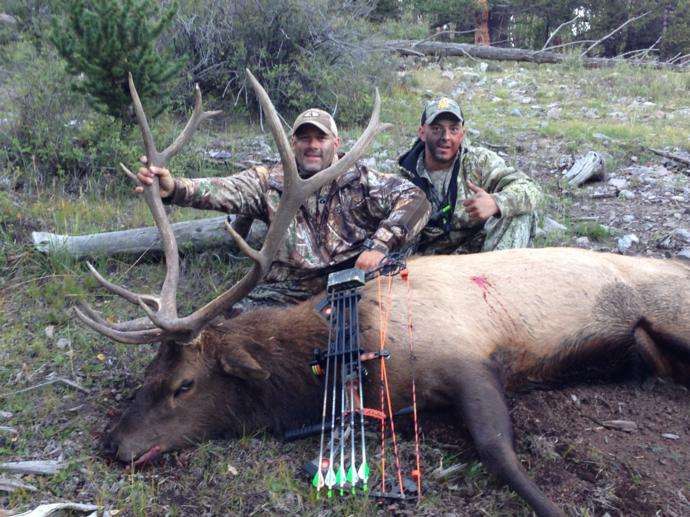 For the past 5 years, Trophy Elk harvest rates have been around 75%. 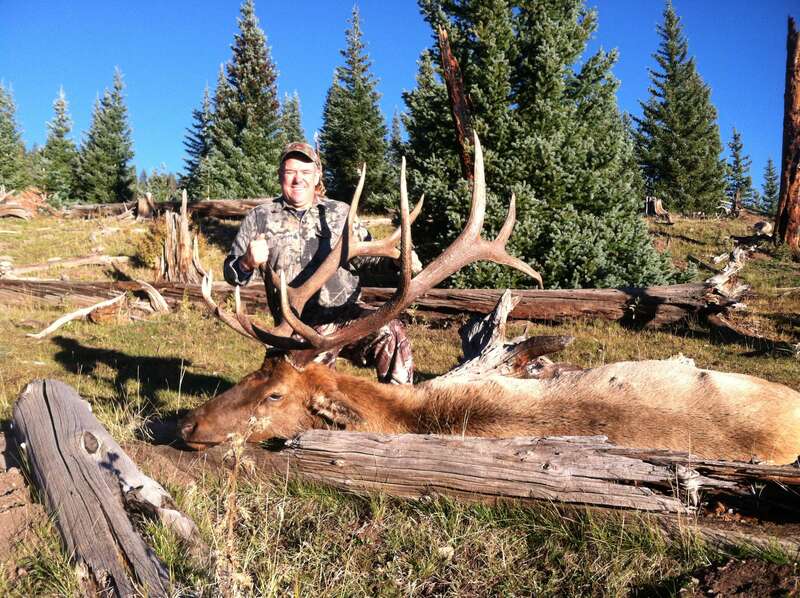 Each hunter will have an experienced and professional guide who will ensure a successful trip and an Elk opportunity! You will be lodged in our rustic, yet very comfortable, Lodge with double rooms, bathrooms & showers, as well as warm and spacious common quarters. Meals will be served by our professional staff who will keep you well fueled for a successful trophy Elk hunt. The kitchen is open to you at all times with plenty of snacks, beverages and we can cater to special diets with an advance notice. 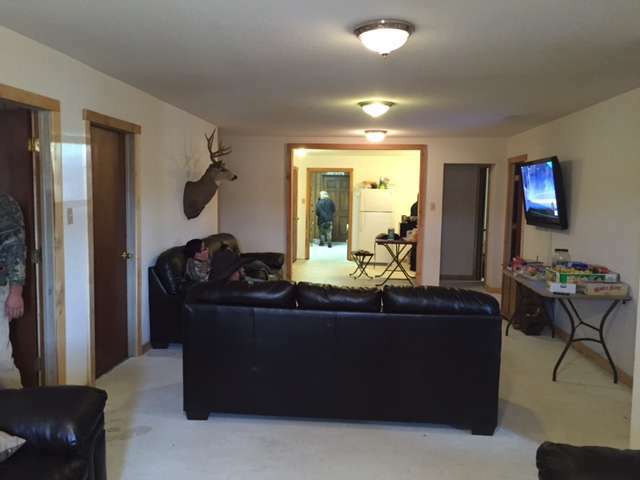 We have a food & lodge upgrade available for $125 per night/per hunter. Early rifle hunts for trophy bulls are conducted in early October during the rut. Calling is a good method for locating bulls and most harvests are done by stalking and ambushing. 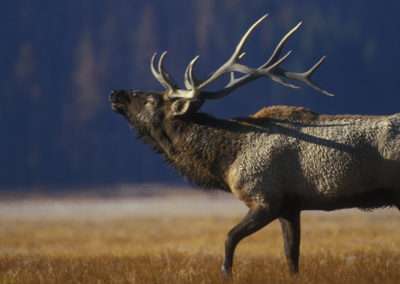 There are a number of areas within the ranch that are used by elk to socialize and mate during the rutting period. We will set-up clients in strategic areas and wait for the game to enter. As we are always with you during the ambush, we can tell you if it is a harvestable trophy and range him for you. We never leave you alone. Most rifle shots range from 75 to 300 yards. Other methods of hunting include walking, tree stands, ground blinds and the use of 4-wheel drives to get to prime elk habitat. Later hunts are conducted utilizing 4-wheel drive vehicles to get to strategic locations. Snow is usually prevalent, making tracking and locating of animals much easier. Bulls are found in bachelor herds and in the farmlands, providing an excellent opportunity to harvest a bull. It is not unusual to see 300-400 elk in herd during the late season hunts. The Rio Costilla incorporated this unique hunt in 2000. This hunt takes place in mid-October and actually replaces a regular rifle hunt. It is conducted right after the 1st and 2nd regular rifle hunts. The reasoning behind this unique opportunity is; since the bulls will be pulling out of the rut at this time, their concentration shifts from breeding to feeding. This is an excellent time to find bulls in a feeding frenzy in an attempt to build up weight lost during the rut and preparing for the long cold winter. The Rio Costilla Park allows only a few hunts during this rifle hunting opportunity. We strategically set up tree stands and ground blinds in areas frequented by feeding bulls taking advantage of their need to feed. In some cases, we use feeding calls to attract the elk into grassy meadows and open areas. This is an excellent hunt for the black powder hunter. The bulls will be forming bachelor herds for protection purposes as winter begins and colder weather sets in. Preparation of trophy and meat – processing can be arranged for an additional charge. Over the top fun experience from start to finish. Crazy big fish and guns.